Dan Shavit was born at Kibbutz Kfar Szold in 1944 and still lives there today. He studied English literature at Haifa University. Shavit is a former editor of the Kibbutz Movement`s weekly magazine, has taught high school and is now fiction editor at Hakibbutz Hameuchad Publishing House. He is also a painter. 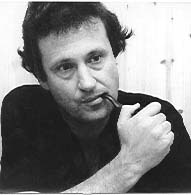 Shavit has published novels, novellas, non-fiction books and short stories. He has twice been awarded the Prime Minister's Prize (1986; 2003).